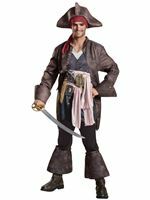 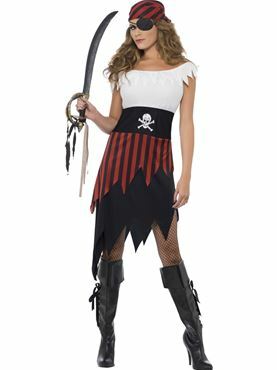 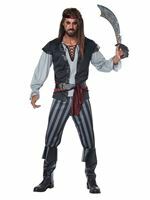 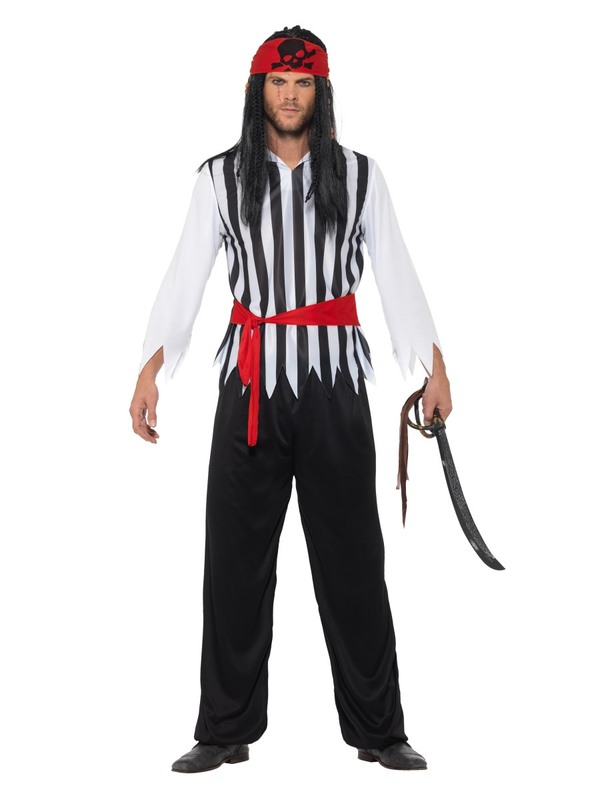 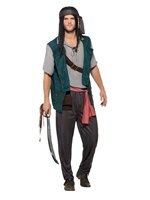 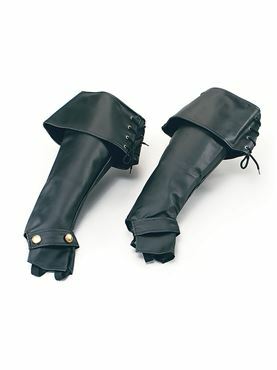 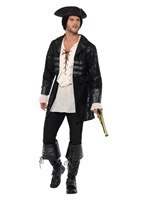 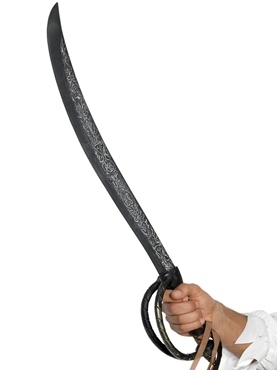 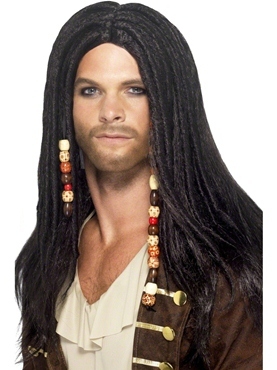 Sail the High Seas in our Pirate Costume! Our costume includes this white long sleeved top with a pinstriped body and jagged edging. 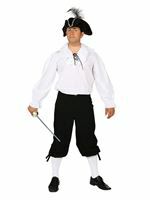 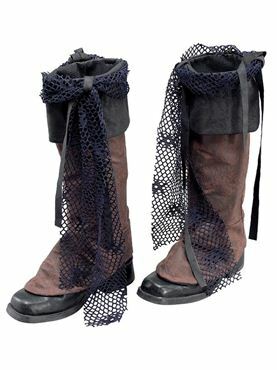 Also included is a pair of black trousers, red tie belt and a matching bandana with a skull and cross bones print across the front.